Greater risk appetite and positive financial trends had set up the field for silver to outperform gold in the latter half of 2017, according to analysts from Commerzbank, a German banking, and financial services company. As of the first week of 2018, the gold/silver ratio (the amount of silver it takes to purchase one ounce of gold) is 73.6. This means compared to silver, gold is one-third dearer than its 50-year average. This figure signifies historically low silver prices. Commerzbank also forecasts a gap in the supply and demand of this precious metal next year. Thus, it is expected that silver will “outperform” a rally in gold, thereby causing the gold/silver ratio to hit the 75 mark. A big advantage of silver investment lies in the intrinsic value of this white metal, rather than its price. Silver trended lower over the last few years until it hit rock bottom in 2016 at less than $14 an ounce. But it still offers plenty of value during crisis periods. And considering how real the threat of economic crisis is in 2018 (Source: www.huffingtonpost.com), silver will prove a better currency for regular purchases since its value is not as concentrated. What’s more, you can use silver for creating an emergency stash of assets for a rainy day. When fledgling investors decide to diversify their portfolio, they should start small. And silver, being a lot more affordable than gold, proves to be a safer investment. 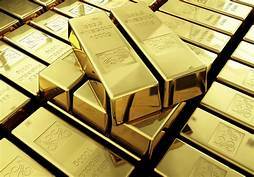 Considering they must work with limited resources – possibly a few thousand dollars – buying a lot of silver bullion coins is better than a single bar of gold. For example, you can walk into a coin store with a thousand dollars in your pocket, and walk out with several ounces worth of silver coins. But with that amount, you cannot buy even a single ounce of gold. Walking out of a coin store with a lot of precious metal coins is also quite psychologically satisfying. Moreover, it is easier to sell off a few silver coins when you need to take care of a financial emergency than it is to find the right buyers for your gold investment. Silver bullion is best purchased in bar form as they are all of the same sizes, allowing for more convenient storage. The compact nature of silver bars provides investors the opportunity to secure large amounts of monetary resources in comparatively small areas. Plus, when you buy silver bars that feature recognized hallmarks, it becomes easier to find resale buyers. Thus, you face no trouble converting the bullion bars to cash. 2018 is predicted to be a great year for silver investments. The best part is, you can easily procure silver bullion coins and bars for sale; all you need to do is visit a coin store in your vicinity. Physical silver will give you a safe, versatile investment. In fact, you’ll be hard-pressed to find an asset that is as good a hedge against crisis as this precious metal.